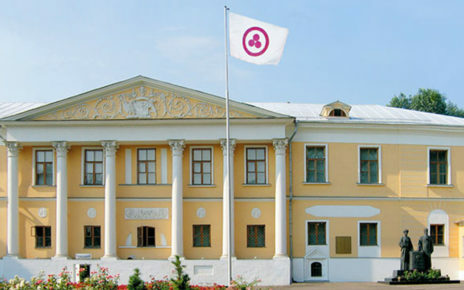 The Center of the Roerichs claims about the real rout that was caused in the museum after it passed under the control of the state. 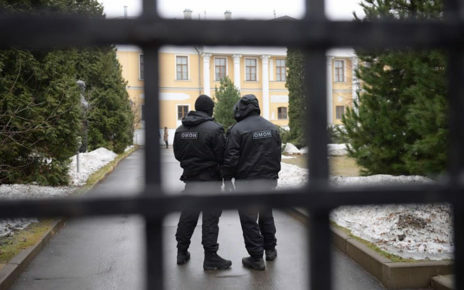 On April 28, 2017, the International Center of the Roerichs (the ICR) was seized, sealed, security was lined up near the Lopoukhins’ estate, where the ICR was located. All the workers of the center were evicted. 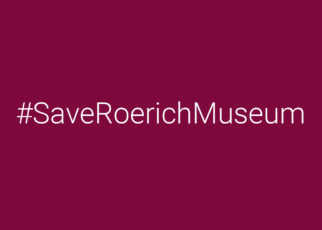 The premises, the art collection, the Roerichs’ archive, the equipment and even the personal belongings of the staff of the ICR, which has the status of a non-governmental organization, were transferred to the State Museum of Oriental Art for “responsible custody”. Nine months later, in January 2018, the ICR workers were admitted to the center for the first time. What they saw shook them up pretty bad. 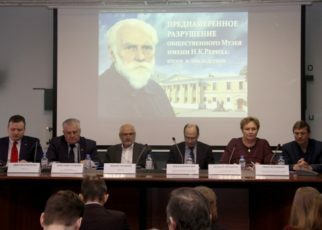 “We saw a barbarous picture,” Pavel Zhuravikhin, Deputy Director of the ICR, told “Sobesednik.” “The first impression was the resemblance to the destruction of the Yasnaya Polyana by German Nazis during the WW II. It is all the more actual, since Roerich and Tolstoy are comparable figures for the national culture. Everywhere we saw broken showcases, the hinges were cut off autogenously. 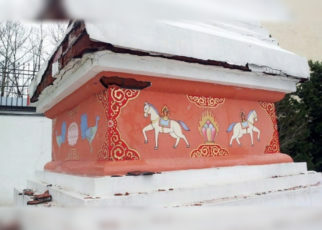 The unique handmade friezes, those of decorative details of the internal system design, were smashed to pieces. 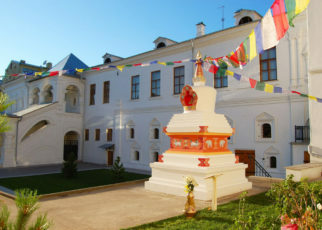 The sketches of the temple fresco by Nicholas Roerich, destroyed by the German Nazis during the war, were also disfigured. 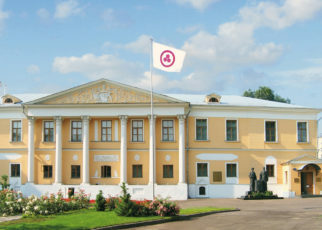 The State Museum of Oriental Art refused to sign the inventory of the things and the act of transfer. “This is the fear of responsibility. 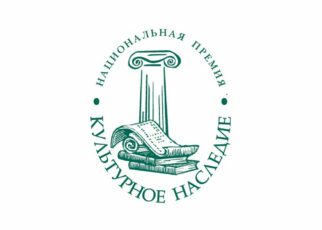 We have fixed in the act what was broken, torn, what is available, and what is not,” the lawyer Dmitry Kravchenko said. 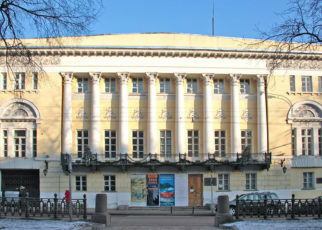 According to Pavel Zhuravikhin, each showcase was made in Europe under a unique project specifically for the Center of the Roerichs and was worth one million rubles. The exhibits of the XVII-XVIII centuries, locating in these windows, are, of course, incomparably more expensive. 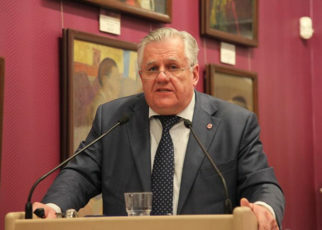 No less sad situation, according to Pavel Zhuravikhin, was with the personal property of the workers: computers, for example, were found piled up on the floor in a men’s toilet. Safes were rifled; documents, money and personal values ​​of some employees were gone. The ICR workers are going to file suits in court. 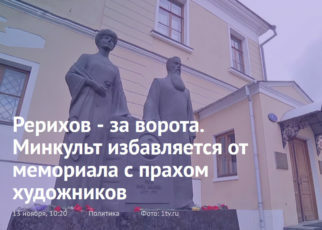 “I do not know how they will explain the actual intentional damage to property,” Pavel Zhuravikhin concluded a talk with “Sobesednik”. “ We have a cult of force. If a man of influence likes your property, then it is not a problem for him to take it away from you. Courts simply process decisions of the executive. But we have never had such a thing when a social organization was deprived of its the property in such a form. When we wrote a letter to Kirienko, we thought that he would call Medinsky and say: “Well, what are you doing? 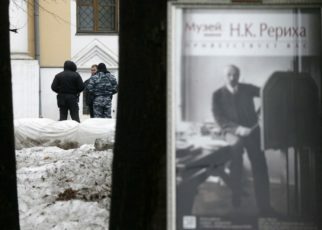 People go to this museum, why are you taking it away and giving it to State Museum of Oriental Art?” But, apparently, Medinsky is more influential than one might think. The article was published in “Sobesednik” edition No. 05-2018 under the heading “A Barbaric Picture in the Roerichs’ Museum”.